We offer a variety of one-on-one help sessions. Technology Librarian, Brad, and our gracious volunteer, Carmine, are available for one-hour bookable sessions. Brad also has a weekly Drop-in session. 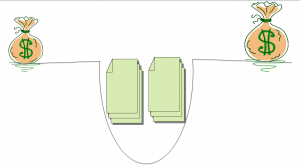 Those are not bookable and are meant for help on a specific issue. 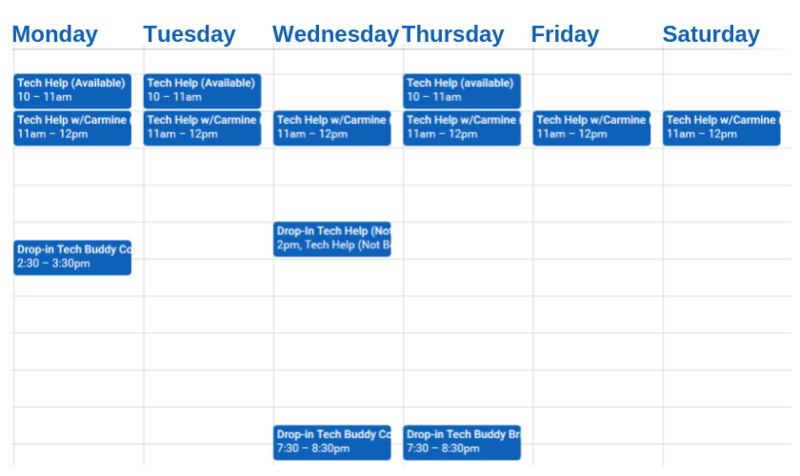 We also have Teen Tech Buddies that offer various Drop-in sessions as well. See the schedule below for times and then you can go here to request one of the hour sessions. Computer classes on a variety of topics are available. See what upcoming classes are available in the Calendar of Events. WML YouTube Tutorials– Short “How To” videos on such services as Overdrive, Hoopla, and RBDigitial. Digital Learn- Every structure has a ground floor. Digital Learn is the ground floor for the structure that is learning about computers. Introductory topics like, search, web site navigation, and email can be found here. Goodwill’s Learn for Free- If you want to learn about computer basics, like mouse & keyboard tutorials or such popular applications as Facebook this is the site for you. It also has job search help in the form of cover letter/resume writing tips and interviewing skills. You can even learn everyday skill like how to check your receipt on this free and easy resource. Cousera- This is a site of Massively Open Online Courses (MOOCs) featuring self-paced courses founded by two professors from Standford University. It was one of the first MOOC sites out there and so has been around longer than EdX (see below). It boasts over 600 courses to choose from. This podcast is aimed to bridge that gap. Click here to listen to the latest episode and get more info.